Dinosaurs at Dusk: Travel back in time to the land of dinosaurs to watch Tyrannosaurus rex, Pteranodon, and Triceratops in their natural habitat. Earth Defender: In this game, players take lasers in hand and venture into space to defend Earth against the evil Metamorphs. Led Zeppelin: '70s kids can stare in awe as stunning visuals dance in time to classic Zep tracks such as "Kashmir" and "Stairway to Heaven." 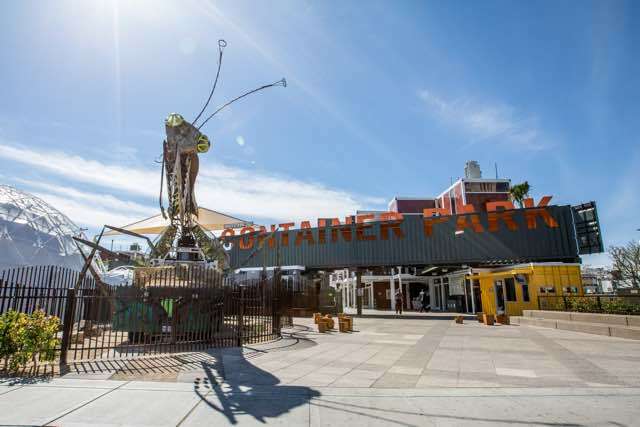 The Container Park, located in Downtown, is an open-air shopping center built from repurposed shipping containers. Located just a few blocks away from the Fremont Street Experience, this open-air shopping center filled with boutique retail shops, restaurants, and live entertainment.